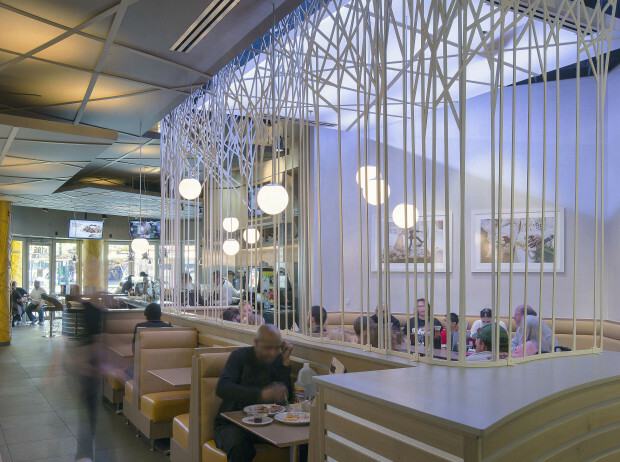 The purpose of this special Denny’s is to re-shape the restaurant’s international image for the 21st Century, without losing the recognizable features of its classic diner history. The client wanted a unique brand identity for this restaurant chain that would re-interpret the company’s classic diner image for the 21st Century and celebrate Denny’s legacy as the ‘original social network’. 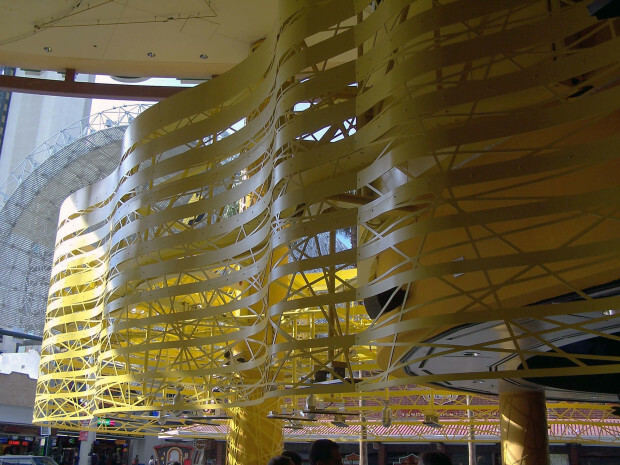 The ground level exposure of the Neonopolis is wrapped in an undulating, egg-yellow, aluminum sheath – creating both a unique form of Las Vegas signage and a building within a building. 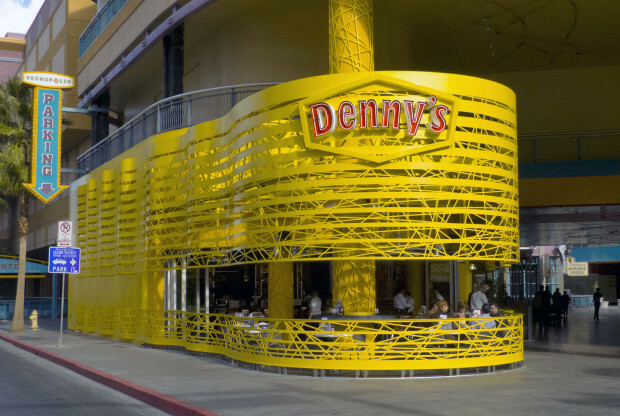 The linear façade elements also include continuous flow of network-like fragmentation, providing an architectural context to celebrate Denny’s legacy of hospitality as ‘the original social network’. SITE served as design architect and artist. 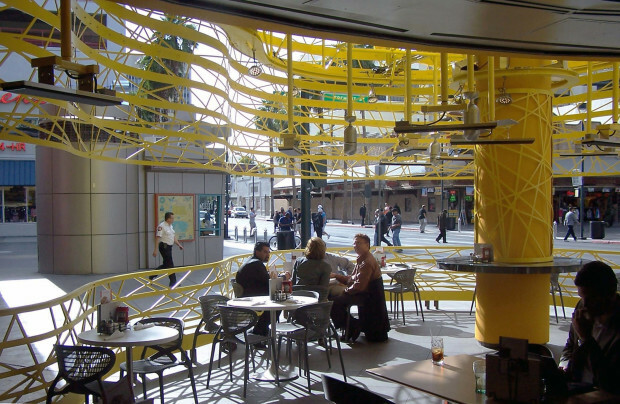 The philosophy of SITE’s work is based on ‘environmental thinking’. 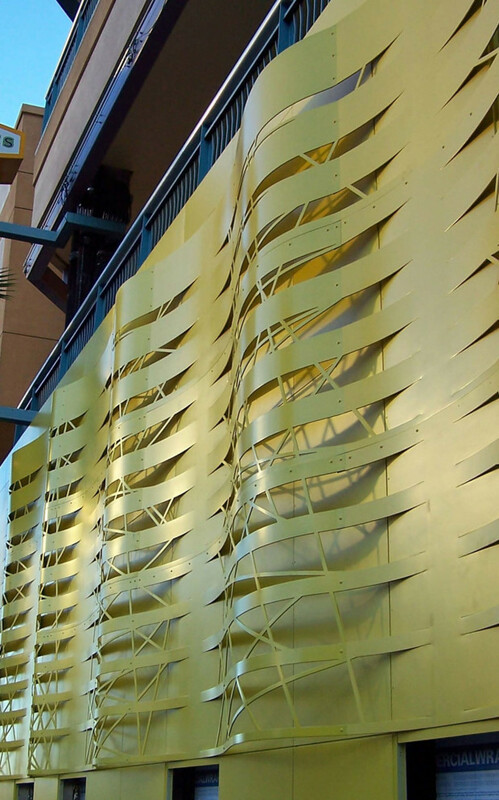 This approach refers to an integrative fusion of ideas from visual art, building design, urban planning and landscape architecture – exploring an alternative to the conventional treatment of these disciplines as separate territories. The studio advocates an aesthetic approach where it frequently becomes difficult to discern where one art form begins and the other ends.